Palmer Cox, "The Brownies" : 1907. The first comic strip, The Brownies Abroad, didn't utilize speech balloons, nor were there any speech balloons in The Brownies in the Philippines comic strip. This strip was later converted into a book. The Brownie Clown of Brownie Town. the third and last of the comic strips utilized speech balloons. 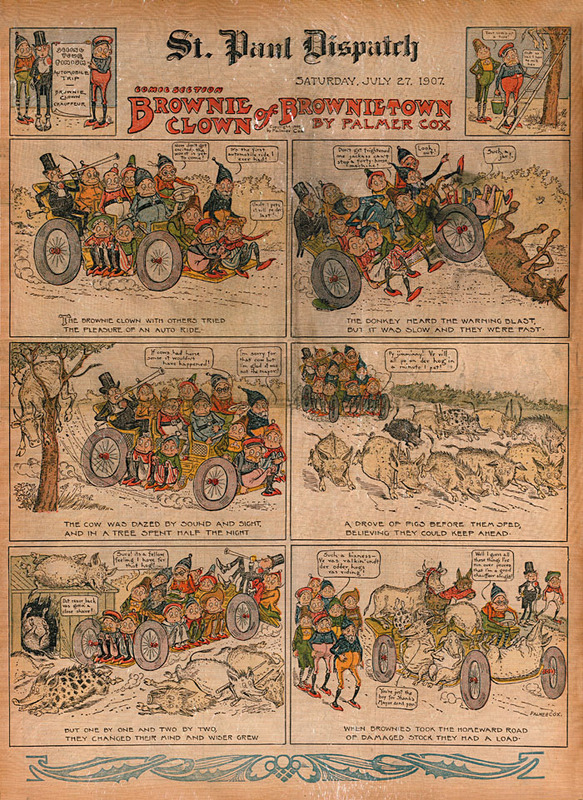 A book, The Brownie Clown of Brownie Town reprinted a number of these strips in 1908.